Kayu putih/Cajuput are so familliar in indonesia. 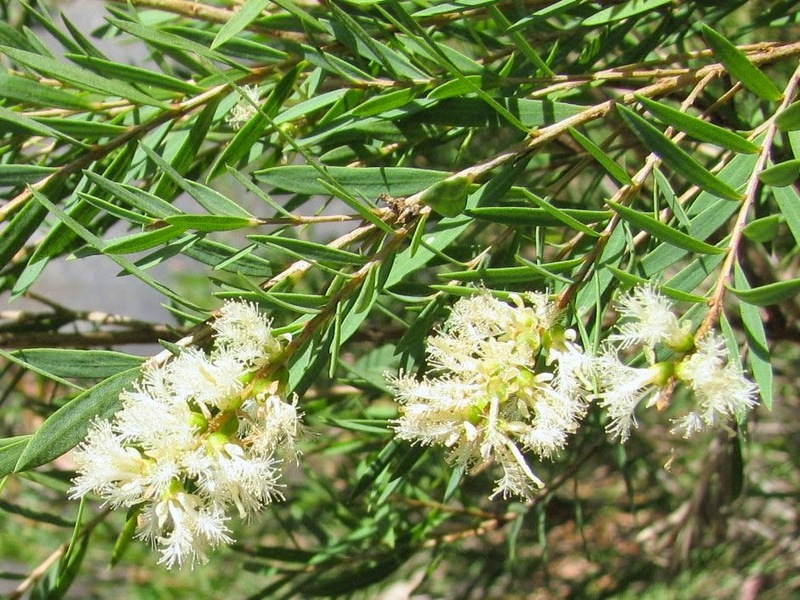 This plant has Latin Name: Melaleuca leucadendra L.
Habitat: It grows in swampy areas and even in the water, plains or in the mountains. Description of the plant: plant a tree approximately 10 m high. Woody stems, round, easy to peel skin, branched, yellow brownish. Single leaf, tapered tip and base, flat edge, surface hairy, parallel bones, the color green. Compound interest, the form of grain, 7-8 cm long, 5 piece crown, white color. Fruit boxes, three bears, each room there is a lot of seeds. Chemical Ingredients: Essential oils (Kayuputol, terpineol); tannins. Simplesia Name: Folium leucadendrae Melaleucae, Oleum Malaleucae leucadendrae aethereum. Cajuput oil to taste; 1 lemon fruit; 2 whiting fingers, Squeeze orange juice, then add Whiting and Cajuput oil then stir until mixed, Applied to the back and chest; For menstrual pain applied to the abdomen. Joint pain, roots of papaya 10 pieces; 1 tablespoon salt; Cajuput oil 2 tablespoons, Enter the ingredients in a bottle of syrup, add the wine or alcohol, cover tightly. The bottle is dried in the sun for 10 days.